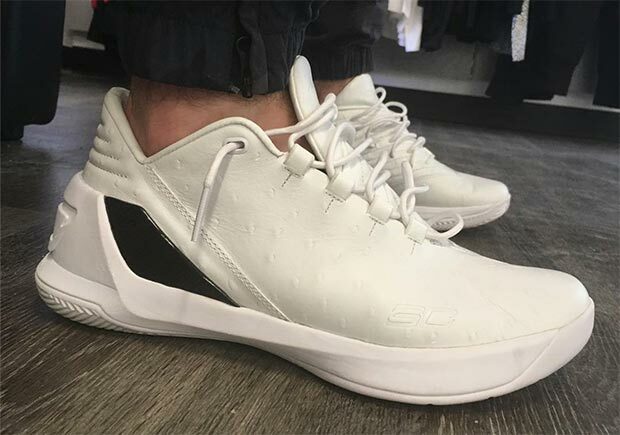 “Chef Curry” is back on the Under Armour Curry 3 Low, but will it set the internet ablaze with memes and extreme clowning like the last all-white low-top Curry model? The Curry 2 Low “Chef Curry” seemed to just be a case of being in the wrong place at the wrong time, so we don’t foresee this latest Curry 3 Low getting quite as much negative attention or comparisons to “dad shoes”. We’re not sure if Under Armour is even officially going with the “Chef Curry” nickname for these or not, but what we do know is that the low-top edition of Curry’s latest performance shoe features a premium makeover in ostrich-textured leather for the upper, giving the shoe a distinct lifestyle aesthetic. 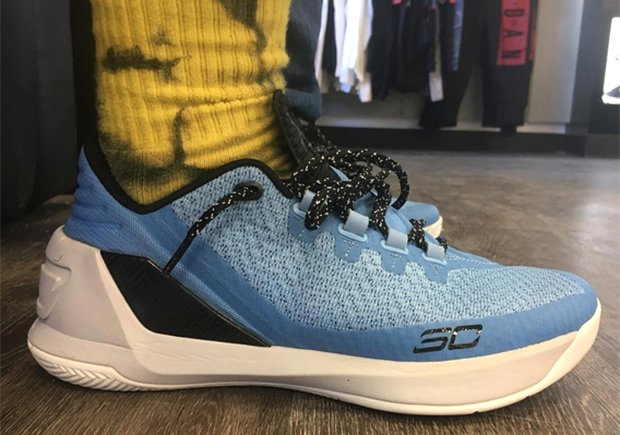 Along with the all-white leather version, we also get a preview here of a performance-minded version of the Curry 3 Low, featuring a Carolina blue mesh upper with black and white accents. Check out both upcoming Curry 3 Low Colorways, and stick with Sneaker News for release dates for each.